Description: In a game with this kind of crazy-awesome logic, a helmet isn't all that necessary. But hey, at least this thing look cool! 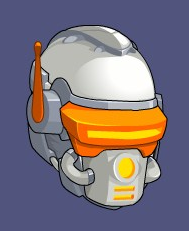 Also see IceTen Space Helmet Pet.